Another addictive puzzle game for iPhone users has just been released. 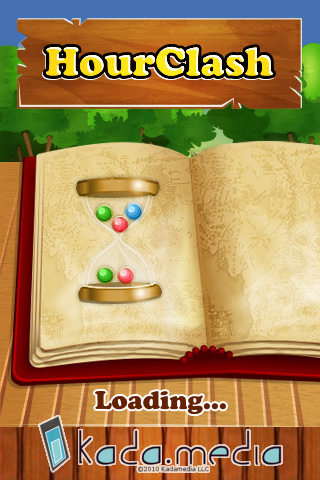 HourClash gameplay from KadaMedia in difference to the other puzzle games runs on all versions of Apple iPhone and iPad. And promises the most challenging experience to the puzzle game fans. 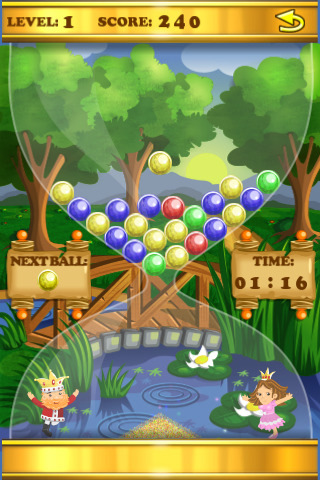 The goal of the game is simple, you have to match colored balls while they fall through an hourglass. When the action begins, gamers will realize this is a daunting challenge with bombs bursting and colors changing more rapidly as the levels progress. HourClash is easy to play, includes 15 levels and each offers a lot of fun. Besides, the game is accompanied with great soundtracks making the play more enjoyable. Initial feedback on the game has been extremely positive with users comparing the gameplay to earlier hits like Tetris (EA) and Trism. HourClash! 1.0 is $0.99 USD and available worldwide exclusively through the App Store in the Games category. In the next month, KadaMedia is expected to release an iPad only version of HourClash as well as a HourClash - Halloween Edition version.